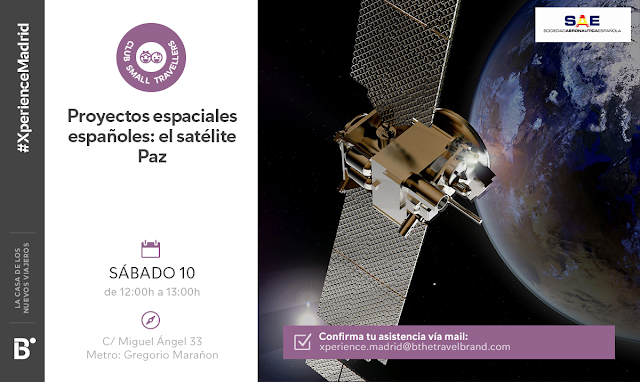 Orientada a los más jóvenes, tendrá lugar el próximo sábado 10 de febrero “ Proyectos Espaciales Españoles: El Satélite Paz”, a las 12:00 horas, en las instalaciones de B The Travel Brand Xperience de Madrid (Calle Miguel Ángel, 33). En el cual los asistentes podrán descubrir todo lo relacionado con los cohetes y los viajes espaciales de la mano de Isaac Domínguez Santos, Director de la Dirección de Programas y Sistemas Espaciales de ISDEFE. Samad Aerospace is developing an electric VTOL business jet that has the range of 1500 miles and can carry 5 people (and a further 80 kg of baggage) with one person being the pilot. The Starling Jet has the speed of 450 miles per hour and is going to be developed with fly by wire and full autonomous capability. Less than 20 hours of training would be enough to fly the Starling Jet. The aircraft is capable to take off and land from an area as small as a helipad. The Starling Jet is designed to have the high power to weight ratio electric fans similar to that of gas turbine engines. 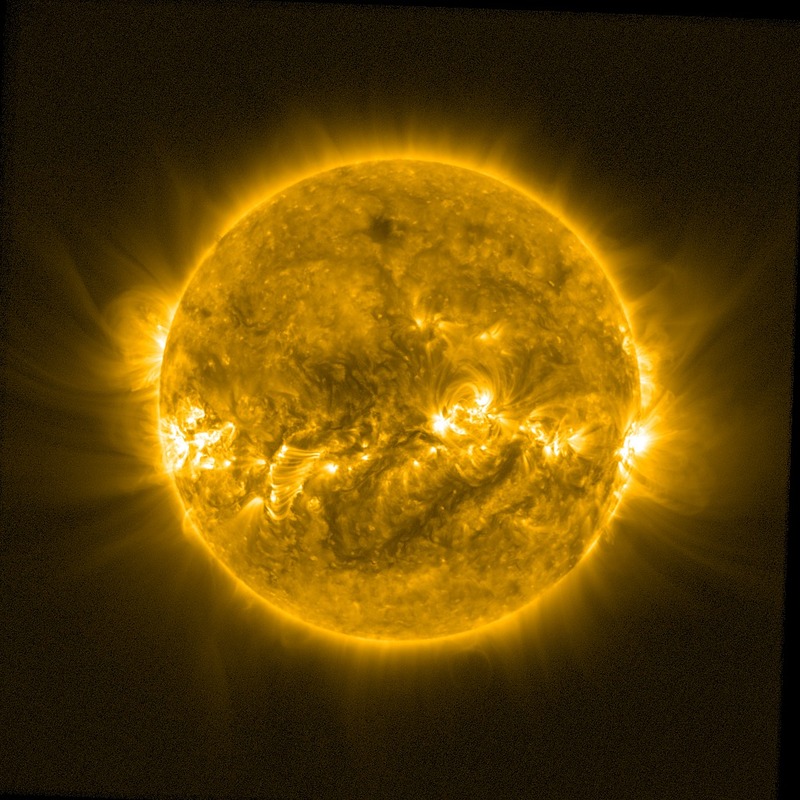 In addition, it features the power electronics and battery technology that can operate at a very low temperature and extreme environment of 30,000 ft altitude. The company is taking advantage of current developments in battery and power electronics and low cost gas turbine engine for charging the batteries at cruise. 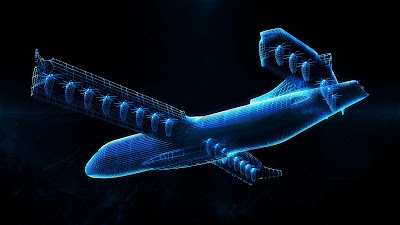 The Chief Technology Officer of Rolls Royce, Paul Stein was also present and has expressed that "The future of aircraft is indeed going towards electrification and aircraft with VTOL capability". Samad Aerospace will be showcasing its one-of-a-kind vertical take-off and landing (VTOL) business jet at the biggest airshow in Asia on 6th February 2018. 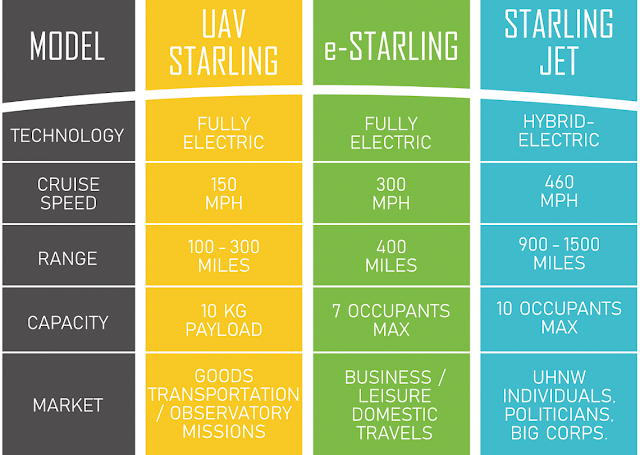 The Starling Jet, will be the world's first hybrid-electric VTOL business jet that is designed for performance, speed, comfort, and green with the added flexibility to take-off and land from just anywhere. Mr. Teo who was also the keynote speaker of the Welcome Reception, has expressed his interest in getting Singapore's participation in Starling Jet project and be part of the technology development and supply chain of this unique aircraft. Talks will continue with EDB of Singapore to join the UK company in thus exciting journey. The first official release of the Starling Jet concept is planned to be held at the Singapore Airshow on Tuesday 6th February 2018, at 12 pm (GMT +8) at the UK Pavilion Lounge. Media members are welcome to find out about this unique feature of the electric business jet. Fully electric during take-off/landing and flights over urban areas. Conventional diesel turbofan engine propulsion during high altitude and outside cities cruise. Door-to-door air travel, independent of airport. Time saved/gained: 2.5 hours per trip. High speed: up to 460 miles per hour. Less CO2 emission due to hybrid electric propulsion and hybrid turbofan diesel engine. Smooth and safe transition from vertical to horizontal flight and vice versa. Cruise engines act independently from vertical engines below stall speed. Para cubrir puestos de agentes administrativos y servicios auxiliares en El Prat. Iberia ha publicado una nueva oferta de empleo para trabajar en el aeropuerto de El Prat. 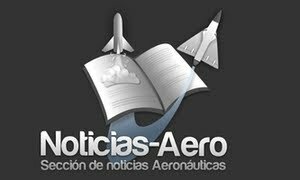 En concreto, necesita cubrir puestos de agentes administrativos y servicios auxiliares para realizar tareas de handling, tanto de pasajeros –facturación y embarque- como de rampa –asistencia al avión-. SINGAPORE (Feb. 6, 2018) – Textron Aviation Inc., a Textron Inc. (NYSE:TXT) company, today announced it has been granted certification for the midsize Cessna Citation Latitude by the Civil Aviation Administration of China (CAAC) and the Civil Aviation Safety Authority of Australia (CASA), with the region’s first deliveries underway. With the addition of these two new certifications, the Latitude is now certified in 43 countries around the world. The global fleet has surpassed 100 aircraft and 60,000 flight hours since entering service in August 2015. The Latitude is the first in a series of three new large-cabin business jets, including the super-midsize Citation Longitude, expected to enter into service in early 2018, and large-cabin Citation Hemisphere, under development. These aircraft are designed to bring additional capabilities to the Asia-Pacific region, offering impressive packages of performance, technology and comfort at the lowest operating costs in their respective segments. “As our customers’ missions and needs grow, they appreciate that our evolving product line combines proven performance, precision design, production quality and lifecycle customer support that Citations are known for,” Pruss said. Singapore, February 6, 2018 – Embraer Defense & Security announced today, at the Singapore Airshow, the signing of a Letter of Intent with aviation services company SkyTech for up to six new KC-390 multi-mission transport aircraft. The aircraft are earmarked for multiple defense projects and both companies have also agreed on a potential strategic collaboration to jointly explore new business opportunities in training and services. 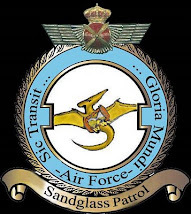 SkyTech is the result of a partnership between two long-standing players in the field of defense services: aircraft, complete crew, maintenance, and insurance (ACMI) company HiFly, from Portugal, and Australian aviation services and charter provider Adagold Aviation. “We have been following the KC-390 program since its inception and believe that it will be a game-changer in the medium-sized airlift category as well as a multi-role platform”, said Paulo Mirpuri, president of SkyTech. The company has also stated that this is the first of a wide variety of platforms that will fulfil various niche roles and projects that SkyTech is undertaking worldwide. “Embraer is keen to have SkyTech as a strategic partner for some of our own planned projects, where we see them adding value and enhancements by providing various ongoing solutions to our own defense customer base”, said Jackson Schneider, president and CEO of Embraer Defense & Security. The KC-390 is a tactical transport aircraft developed to establish new standards in its category while presenting the lowest life cycle cost on the market. It is capable of carrying out various missions, such as transporting cargo, troops or paratroopers, aerial refueling, in addition to supporting humanitarian missions, search and rescue missions, medical evacuation and aerial firefighting. 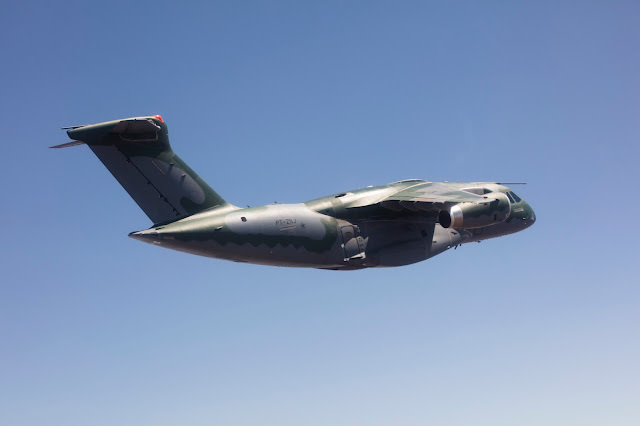 The KC-390 can transport up to 26 metric tons of cargo at a maximum speed of 470 knots (870 km/h), as well as operating in hostile environments, including unprepared or damaged runways. DHL has ordered one 767-300ER Boeing converted freighter. Boeing converted freighters carry high-density cargo on long-range routes, as well as e-commerce cargo on domestic and regional routes. Honeywell Aerospace signed a contract extending Aviall’s product support agreement as the exclusive distributor for Honeywell Aerospace through 2022, covering interior and exterior lighting equipment for all commercial aftermarket product sales. Products covered include indicators, annunciators and other components used on commercial aircraft. The newest member of the A330neo Family, the A330-800, has rolled out of the paintshop, on track for its first flight in mid-2018. The A330-800 is the new generation 250-seater from Airbus’ leading twin-aisle family. 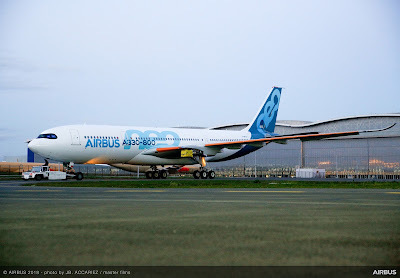 With its 242-tonne Maximum Take-Off Weight (MTOW) as the base variant, the A330-800 can operate routes of up to 7,500nm and with the recently launched 251-tonne MTOW variant, the aircraft can operate ultra-long-range routes of up to 8,150nm. The A330-800 will leverage the A330-200’s proven versatility, popularity and reasons for success, offering new-generation economics. Building on the success of the A330-200 with over 600 aircraft in operation, the A330-800 brings new-generation economics and comfort in addition to unprecedented range to the 250-seat aircraft market. Together with the larger 300-seat A330-900, they share 99 percent commonality, having the same airframe, engines and cross-crew training. This gives operators great flexibility to use either aircraft in their fleet according to network needs in size and range. 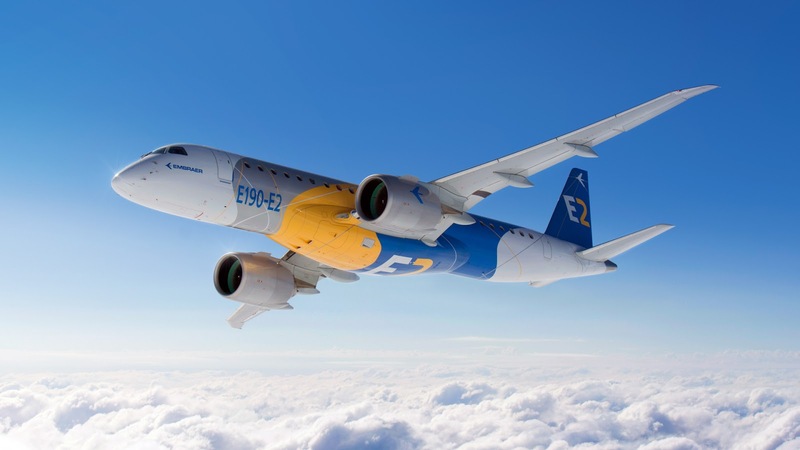 Both of these widebody aircraft incorporate new Rolls-Royce Trent 7000 engines, zero-splice nacelles, titanium pylons, new wings and new Airspace by Airbus cabins. The most visible new features of the A330neo wings are the specially developed curved wingtip Sharklets – which draw on A350 XWB technology, extending the wingspan to 64 metres, providing state-of-the art aerodynamic characteristics. Asia’s biggest aviation show opened today at the Changi Exhibition Centre, and Airbus is at the heart of it. The Singapore Airshow, held every two years, is where partnerships are forged and deals are sealed in the Asia-Pacific region. Airbus is the largest international exhibitor at the show, reflecting the company’s commitment to this part of the world. Airbus boasts a strong industrial presence in the region and relies upon some 600 Tier 1 and Tier 2 suppliers across 15 countries. Asia-Pacific nations are also an increasingly rich source of partnerships for innovation, new technologies and digitalisation. The Asia-Pacific region accounts for a third of Airbus’ new business and an equal third of the company’s order book. The region is, in fact, the fastest growing market for each Airbus business – commercial aircraft, defence, space, helicopters and innovation – and the range of Airbus products at the Singapore Airshow reflects this. With the company’s newest jetliner, the A350-1000, on display at Singapore – joined by its largest military transporter, helicopters, satellites, an autonomous parcel delivery drone and more – Airbus is well positioned to showcase its aerospace leadership and demonstrate that ‘We Make it Fly.’ In addition to aircraft on display, Airbus has an area dedicated to the company’s growing services business, as well as video presentations of key innovative projects. Airbus commercial aircraft have been especially successful in Asia and the Pacific, where the company offers a modern and extensive range of jetliners that combine unrivalled operational efficiency with the highest levels of passenger comfort. Highlighting the company’s strong presence in the widebody market is the all-new A350-1000 on display as it makes an extended stopover at the Singapore Airshow amid a 12-city demonstration tour across the region. Also on display is a full-scale mock-up section of the Airspace interior for the new A330neo jetliner, which elevates the feeling of cabin space and comfort to another level. With a wide range of helicopter products meeting the needs of both civil and military operators, Airbus is the leading supplier of rotary-wing aircraft to the region. Offering the most extensive customer support network of any helicopter manufacturer, Airbus supports more than 40 percent of the civil and para-public fleet in Asia and the Pacific. On static display at the Singapore Airshow are the single-engine H130 and twin-engine H135 helicopters. The Project Skyways drone is also being displayed for the first time, spotlighting the innovative unmanned air delivery system intended for use in dense urban environments. The project is at an advanced stage of development in collaboration with partners in Singapore. The Asia-Pacific region is one of biggest growth markets for Airbus’ defence and space portfolio. Showcasing the company’s comprehensive range of military transport aircraft is a Royal Malaysian Air Force A400M Atlas, the most advanced, proven and certified airlifter available. Airbus’ Earth-observation and telecommunication satellite system capabilities are represented with a scale model of the AstroBus-XS satellite platform. Demonstrating Airbus’ commitment to innovation is the Hangar of the Future, a project to digitise and automate maintenance activities to increase overall efficiency. 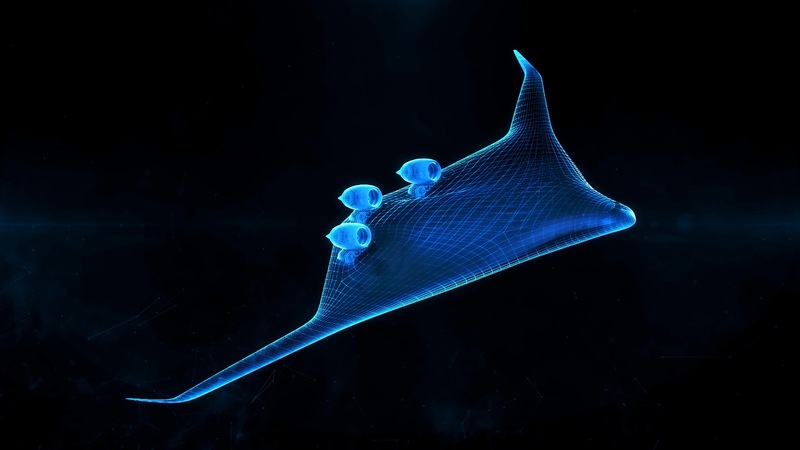 The project, undertaken with the Temasek Polytechnic education institution in Singapore, is co-funded by Airbus and the Singapore Economic Development Board. Trials are ongoing at a testbed hangar at Temasek Polytechnic. The 2018 Singapore Airshow runs through 11 February 2018 at the Changi Exhibition Centre. Airbus further consolidated its market lead in Asia-Pacific in 2017, delivering 367 new aircraft to 50 operators across the region, either directly to airlines or via lessors. This accounted for over half of Airbus’ total deliveries worldwide (718 aircraft) during the year, reflecting the importance of the region for the manufacturer. Deliveries to the region included almost 100 new widebody aircraft and marked the arrival of the long-rage A350 XWB with three new Asian operators. In 2017, Airbus also won the lion’s share of new business in the region, gaining 65% of the market with 100 new aircraft orders from 7 customers. This brings the Airbus backlog in the region to more than 2,000 aircraft, corresponding to a third of the total backlog for the company. The regional results and market forecast were presented by Eric Schulz, Airbus Executive Vice President, Chief of Sales, Marketing & Contracts, at a Media Briefing at the opening of the Singapore Air Show 2018. “Airbus had an excellent year in Asia-Pacific in 2017 and we see more potential in the coming years, in particular in the widebody market, where the region will account for 46% of total worldwide demand. 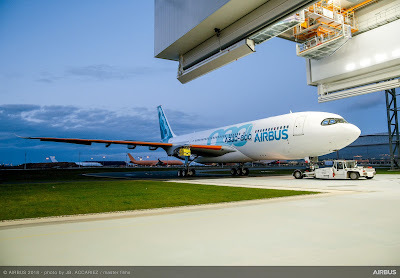 Airbus is perfectly placed to meet this need, already holding 60% of the widebody backlog in the region and offering the most modern and complete widebody product line, with the A330neo, A350 XWB and of course the A380”. According to the Airbus forecast, the Asia-Pacific region will see an annual increase in passenger traffic of 5.6% and will require some 14,450 new aircraft over the forecast period. This represents more than 40% of global demand for almost 35,000 aircraft over the next 20 years. Airbus maintains a leading share in the Asia-Pacific region in both the single aisle and widebody markets. Today more than half of all single aisle aircraft flying in the region are A320 Family aircraft. The Airbus widebody family is especially successful in region, with almost 800 flying today and another 350 on order for future delivery, representing 60% of total widebody backlog in the region. 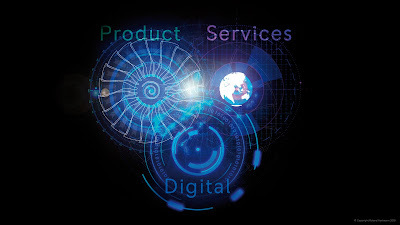 The IntelligentEngine vision is based on a belief that the worlds of product and service have become so closely connected that they are now inseparable. This trend was first identified when Rolls-Royce introduced the market-defining TotalCare® service in the 1990s and, since then, advancements in digital capability have accelerated this change and further blurred the boundary between the two. The IntelligentEngine vision enables Rolls-Royce to find new ways of pioneering power, whether that is through its engines installed today, through its future UltraFan® engine design, or even through the hybrid-electric concepts of the future. Rolls-Royce’s R2 Data Labs, an acceleration hub for data innovation launched in December 2017, will play a key role in achieving the aims of the IntelligentEngine. Using advanced data analytics, industrial Artificial Intelligence and machine learning techniques, R2 Data Labs develops data applications that unlock design, manufacturing and operational efficiencies within Rolls-Royce, and creates new service propositions for customers. 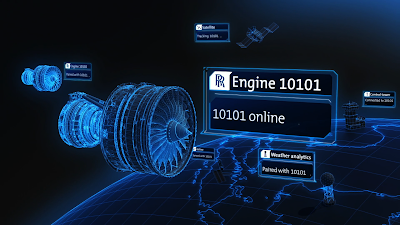 Rolls-Royce will set out further details of the IntelligentEngine vision over the coming year. Updates will be available via a dedicated webpage: www.rolls-royce.com/intelligentengine. GUANGZHOU, China, Feb. 5, 2018 /PRNewswire/ -- EHANG, a global leader in unmanned aerial vehicle (UAV) technologies, has unveiled footage of the latest test flights of their self-flying passenger aircraft or Autonomous Aerial Vehicle (AAV). The EHANG 184 series is the world's first passenger drone capable of carrying a single person at up to 130 km/h and in force 7 typhoon conditions. These manned test flights are just the latest in a series of tests to ensure that the EHANG 184 AAV will be safe and ready for public use in the near future. 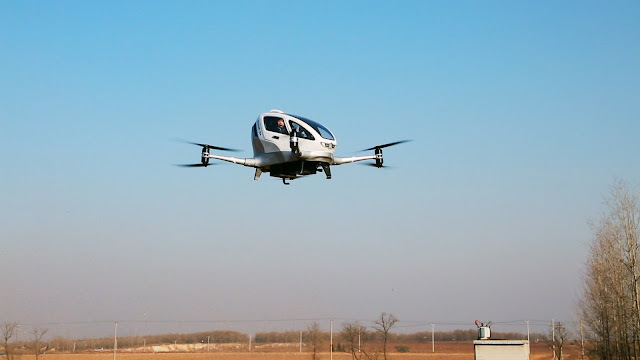 Among the 40 or so passengers who helped in this crucial testing phase were WANG Dong, deputy mayor of Guangzhou, and EHANG founder and CEO, Huazhi Hu. "Performing manned test flights enables us to demonstrate the safety and stability of our vehicles," Hu said. "What we're doing isn't an extreme sport, so the safety of each passenger always comes first. Now that we've successfully tested the EHANG 184, I'm really excited to see what the future holds for us in terms of air mobility." "We've been developing and testing aerial vehicle technology for some time now, and we're finally at the test flight stage for the AAV. It's been a huge success," said Hu. Despite this success, the EHANG 184 AAV will still see further improvements. More emphasis will be placed on improving passenger experience and on adding an optional manual control, giving passengers with piloting experience the choice to operate the vehicle manually. In addition, the company has already developed and tested a 2-seat AAV with a payload of up to 280 kg. But when will these passenger drones be ready available for public use? "This is a step-by-step process," commented Hu, "and at EHANG, we have our own road map. When it comes to the development and application of any transformative technology, first the technological innovation makes an impact, then the relevant policies are created and developed. This goes on to push further development of the industry." Founded in 2014 in Guangzhou, EHANG is a high-tech company that develops, manufactures and sells intelligent UAVs and provides related services. Driven by its continuous technology and product innovation, "AI + network" methodology and its "user experience comes first" philosophy, EHANG provides both consumer-level and commercial end-users with simple, smart and efficient aerial products and solutions. EHANG is a pioneer and leading advocate of the global civilian UAV industry having created multiple innovative ideas, such as smart software-based control, smartphone tilt control, autonomous UAV formation flight technology, 3D air mobility and more. Dedicated to giving people the chance to fly, EHANG has developed a wide range of aerial products, including the EHANG 184 autonomous aerial vehicle, a command & control center for smart UAVs, EHANG Egret UAV formation flight technology, the EHANG Falcon commercial UAV, and the GHOSTDRONE series consumer UAV. For more details, please go to www.ehang.com.